Make Your Bets, Ladies, and Gentlemen! 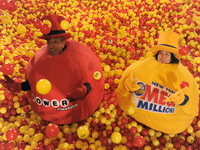 Many people have asked which of the biggest lotteries is better, Powerball or the Mega Millions. Each lottery has its own fan base, and some of them get downright vicious if you try to talk badly about their beloved lottery! Well, we are here to set things straight, once and for all. 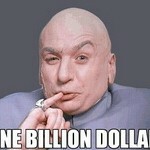 In this corner, we have the Mega Millions. 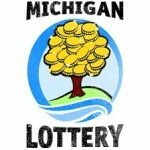 This state-run lottery promises players the chance to win jackpots that start at $12 million and continues to grow bi-weekly until there is a winner. This lightweight champion first made its big splash on the lotto scene in 1996 and has gained traction since then. You can see this hotshot makes an appearance on the television twice a week (Tuesday and Friday night) at 23:00 CET. The highest recorded jackpot that was won was for $656 million back in 2012. In the opposing corner, we have the Powerball. This heavyweight champion, whose jackpots start at $40 million, has been making waves since 1992 and is managed by the Multi-State Lottery Association—a non-profit, government-benefit association. If you fancy a game with a larger stature, you can always catch this attractive prize twice a week (Wednesday and Saturday) at 10:59 PM Eastern time. Because the jackpot continues to roll over until it has been won, the prizes can get high pretty quickly! The highest jackpot was for $578 million back in 2012. In the minds of many lottery players, these two games are more or less the same. You choose numbers for the chance to win a lot of money. Yes, both games do require you to select numbers and yes, you do have the opportunity to win a large (LARGE) sum of money. That does not mean they are equal. Here is how they compare to one another. Just by looking at this, you see that the Mega Millions has the lower ticket price. Who in their right mind would pay an extra dollar? Well, that extra dollar could very well be worth it if you happen to hit that jackpot, especially since the odds of winning the Powerball is 83,667,339 points lower than the Mega Millions. That is a huge difference! Like all good players, you will have to pay your dues. Unfortunately, there is no clear-cut tax that you have to pay unless you live outside of the US and you play overseas. The taxes that you will have to pay as a US citizen depends on the state that you live in. For example, if you live in Arkansas, you will have to pay a 7% state tax on all lottery winnings. However, if you live in Delaware, you do not have to pay any taxes on lottery prizes. There are a number of states that do not require you to pay taxes on lottery winnings, however, the majority does. If you live in New York or Washington DC, you have the highest state taxes on lottery winnings—8.82% and 8.5% respectively. Wow! Now, if you live outside of the country and win one of these jackpots, you will have to pay a flat 30% tax on your winnings. I know… That’s a big chunk of change being taken out of your winnings! While both are lucrative in their own right, the winner of this battle, based on stats alone would be the MEGA MILLIONS. Sure, the chances of winning the jackpot as much higher than the Powerball, but with the Mega Millions, your chances of winning the smaller prizes are much more. While you may not win millions upon millions, it is always nice to win something, right? Plus the fact that it is a dollar cheaper than the Powerball gives you the chance to slap down a few extra bucks for tickets!